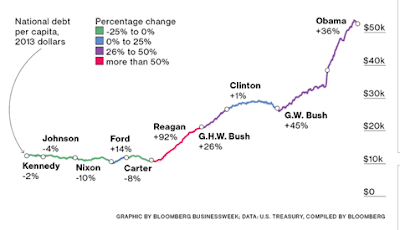 The national debt per capita over time tells an interesting tale especially when looked at through different presidencies. It is not clear that all large debt increases are the result of Democrat presidents. Republican presidents have done a good job of increasing the size of debt burdens. 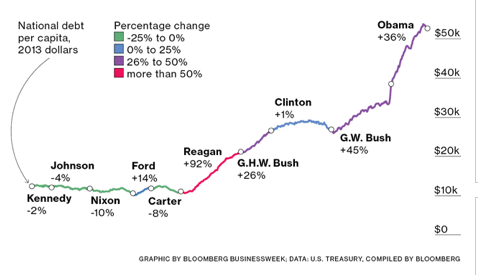 In fact, the growth during the Obama administration has been slower than what has been the case with Reagan and Bush II. The numbers have jumped more on an absolute basis but the debt increases over the last six years by themselves should not be overly alarming. So why are some many getting upset about the debt? There is no such thing as looking at data alone without context. We are getting closer to the tipping point discussed by Rogoff and Reinhart with total debt to GDP moving to levels only seen during war time. Still, we have to remember the large deficits post-2008 were not completely structural. Deficits will increase with economy slowdowns. They should reverse on growth. 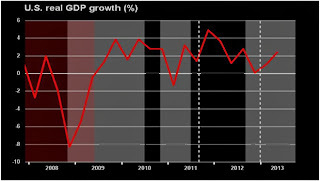 The problems has been slow growth which does not allow the denominator in the debt to GDP number to drive the ratio lower. The context of the debt problem has to be associated with structural issues and here we have a significant problem. We cannot keep all our promises. 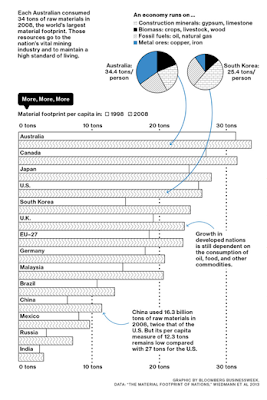 Business Week provided an interesting graphic on the commodity consumption per capita. Well, it looks like wealthy economies love their commodites as much as the new emerging markets. We use a lot of raw stuff" to meet our eocnomic lifestyles We may not get more efficient with wealth. Higher per capita income needs more raw material. 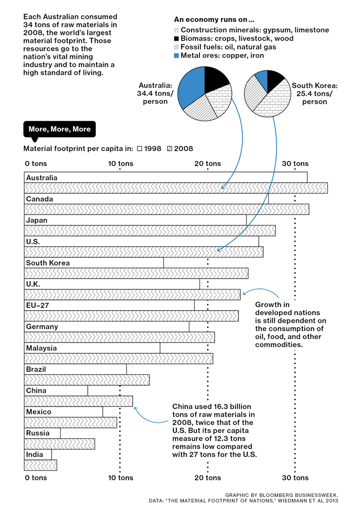 The commodity story has always been about grwoth in China and other EM countries. They have grown substantially, but their per capita demand is still low versus developed countries. Now some of the data is driven by extraction of natural resources, but it still shows the strong dependency of wealthy economies on commodity usage. What are the drivers of monetary policy? Forget about forward guidance. The real focus of traders is knowing what the Fed looks at in the economic data. You can then forecast the underlying economic data and anticipate what will happen with the next Fed move. 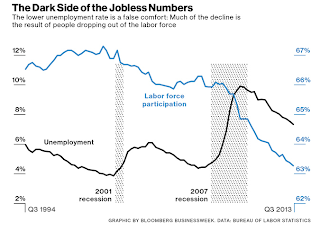 There has been a lot of focus on unemployment, yet that variable seems to have become a false signal. There is not a 7% unemployment signal to suggest that there will be tapering by the Fed. Or, it does not seem like this will be the best signal for the market to follow. Vice Chairman Yellen suggests that the labor market is more complex and suggest a more nuanced approach looking at a number of variables. For example, unemployment is declining because labor force participation is falling. 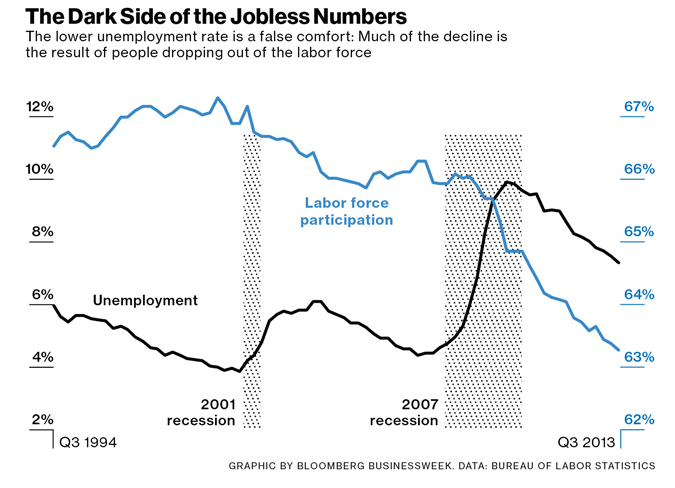 The unemployment number is a false signal. Unfortunately, it is not clear how much weight the Fed places on these alternative labor signals. So we listen to the forward guidance because the Fed will not give us the real guidance which are the variables or triggers used to suggest a policy change. It could be that they are not sure of the signals themselves. Foreign exchange reserves have increased another $28 billion last month to $2.93 trillion. The central bank foreign reserves are just under all time highs of $2.97 trillion. The purpose of these strong reserves are clear. Be prepared to stop currency appreciation associated with an ongoing weak dollar. Buy dollars to make sure that currencies levels do not get too high. If there is a run on the short-term lending which leads to currency depreciation or that increases volatility, the reserve can be used to buy-back the currency and stop any hot money funding problem.The use of large foreign currency reverse began after the Asian crisis in 1998. So much for freely floating exchange rates. Central banks do not really like market determined rates. They do not trust market prices. They trust that bubbles and excessive volatility are more likely to occur in these markets. Currencies should not be trusted to market players. There have have been examples of extremes and hot money, but that has been the exception not the norm. close to $3 trillion in insurance funds against large market moves may be excessive. One of the key problems with the Euro is that the countries in the EU are still not fully integrated. The economy of Germany does not move with the those of Italy, Greece or France. There is still a high level of independence which means that some macro fixes would be best be served through a tailored approach. Spain needs macro help that is not necessary for Germany. If each had the their own exchange rate, the weak countries would see an devaluation while the strong growth countries would see appreciation. This would be predicated on growth and independent monetary policy. That cannot happen in the EU today. The internal economic adjustment from an exchange rate change cannot happen if there is a single currency that moves with overall regional behavior. Gita Gopinath, a rising Harvard professor in international finance, suggest a novel solution to this problem that could be handled through using the tools of fiscal policy. If you increase VAT taxes on goods and services and also offer decreases in payroll taxes, you will get the same impact as a devaluation of the currency. This approach can be used by each country in the EU to adjust domestic costs. Goods would cost more from the VAT tax but the payroll tax change for domestic goods would make domestic good more profitable and or cheaper. Imported goods prices would increase relative to domestic goods which receive the payroll tax benefit. There would be a switch to cheaper internal goods which would be the same result as a devaluation. The impact of a currency move without a currency move. There are devils in the details but it is an interesting non-market price solution. Why should a trader care about this idea? One, it does offer a solution to some of the Euro problems, but more importantly, it provides insight on a major theme on what is happening in international finance. There is more focus on trying to adjust economies without seeing the exchange rate change. We are seeing more effort to impose capital controls to stop currency fluctuations. There are more efforts to provide government assistance, but not outright tariffs, to offset the problem of adverse exchange rates. There is a growing focus on using government policy to solve international problems instead of allowing currency prices to adjust. This is a growing issue that is relevant for traders.Governments want to avoid market solutions. The root process for decision-making in finance is the use of optimization and the weighing of expected return through alternative scenarios. Quantitative approaches are the hallmark of any business school education as it is related to finance. Probability weight all alternative and find the expected value. There has been a general focus on trying to move away from any process that cannot be quantified. As evidenced by the strong research on the problems of heuristics and biases, there has been a movement away from decisions that are not processed based. Behavioral finance is work on what should not be done in decision-making. Better decision-making will be made through minimizing mistakes. 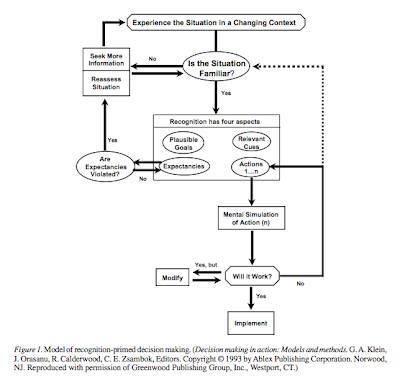 The current work on decision-making does not have a focus on what are good or effective practices, yet in the real world, experience tells us that using short-cuts can be helpful and useful. There is a growing alternative to this process driven decision-making to something that is closer to reality. 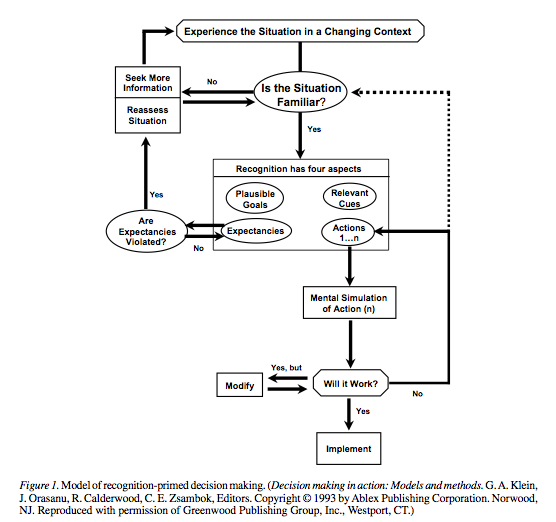 A close analysis of real world decision-making shows that the focus for doers is not on considering all options but on using experience to find what is perceived to be the best course of action. Call it a form of satisfying, but most decision-makers do not conduct a full analysis of choices. This focus on choice and experience which can be wrongly classified as simple heuristics by some but has been studied and developed as a school of thought referred to as naturalistic decision-making (NDM). The use of repeated decision-making based on past experiences have been referred to as recognition-primed decision-making (RPD). Gary Klein is a an innovative researcher in this area who has studied decision-making by fireman, pilots, and the US Army. In different situations, the focus has to be on sues that have worked in the past. RPD focuses on defining the situation, matching to what has been learned in the past, followed by specific action. It may not be the best decision, but it can be one that is effective given the evidence available and the time constraint that requires some action. It is a combination of intuition and real time analysis. Deliberate analysis may be too slow in active rapidly changing environment. Action based on experience and mental simulation is a good choice. This sounds more like how traders may behave when faced with quick market action. Perhaps there should be more teaching of decision-making based on sues developed from analysis specific situations. This is a fruitful area of finance which has not been effectively analyzed. The charts may tell you one thing but the stories on the ground say something different. The latest news out of Canada is that there is a huge wheat crop, a 14% increase over last year and a record 80.8 million metric tonnes. The result is infrastructure that is at the breaking point. Domestic storage is full. Farmers have filled their bins, and you cannot sell it to elevators who do not have space. Crops are being left uncovered on the ground because there is a lack of silage bags. 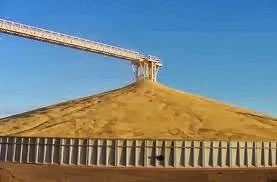 There is a shortage of rail cars to move grain to the coast and once it gets to export centers there also is no storage. Nevertheless, wheat has been trading at a premium to corn. Kansas City high protein wheat is selling at a premium which suggests that supply is down. There has been a nice rally in the CBOT wheat market. So what should you believe, the evidence in Canada or actual prices? Wheat is an international market and other growing areas have not fared as well. Simply put, the primary evidence always has to be the price action. Excess buyers to sellers cause prices to clear at higher levels. Extrapolative evidence from story-telling may be more harmful than helpful for traders. Facts of inconsistency should not be ignored but the Bayesian prior should always be with the evidence with trends. Is there a similarity with the Great Depression? 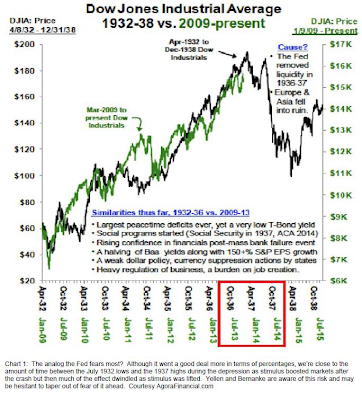 Very interesting chart crossed my desk which caused me to go back once again to history to search for investment answers. Is the current environment like the 1930's? The simple answer is of course not, but there seems to be a close link between the two time series. We have become much more sophisticated in our understanding of economics and policy options, yet the end result on asset prices seems to be the same so far. The key will be whether we repeat what occurred in 1937. The key take-away from the 1930's is that when monetary and fiscal policy were tightened in 1937, there was a significant decline in financial assets. 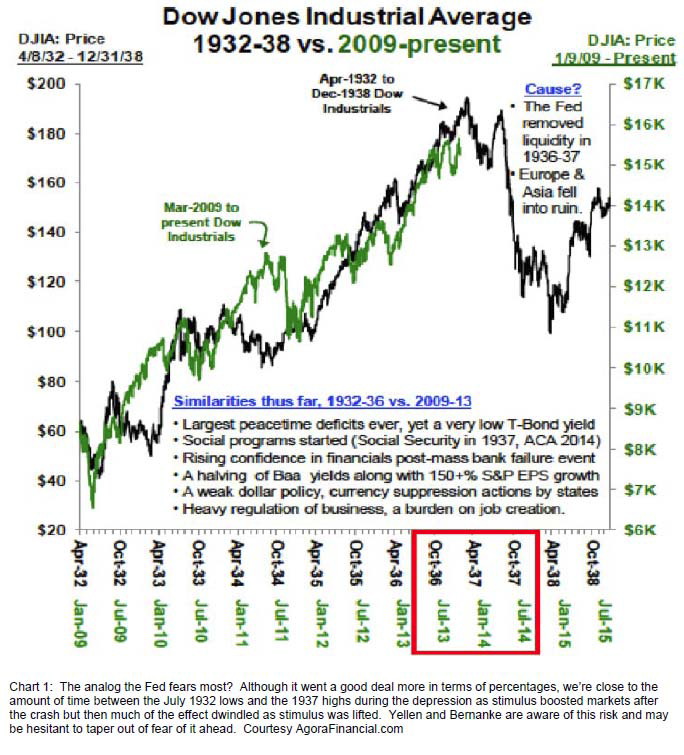 If we taper in 2014, will we have the same response in asset prices? 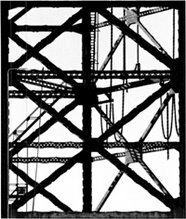 There has been a growing revisionist economic history concerning the Great Depression that is being discussed by who I would call the new economic historical structuralists. Their argument is that the Great Depression was not solved by Keynesian policies, pure folklore given the date of when the General Theory was written. It may not even have been solved by the early policies of Roosevelt. The 1933 Banking Holiday and moving off the gold standard may have caused a significant harm, albeit some form of deposit insurance was helpful. Many of the policies of the New Deal were used to curtail demand and thus arrest the deflation in prices. 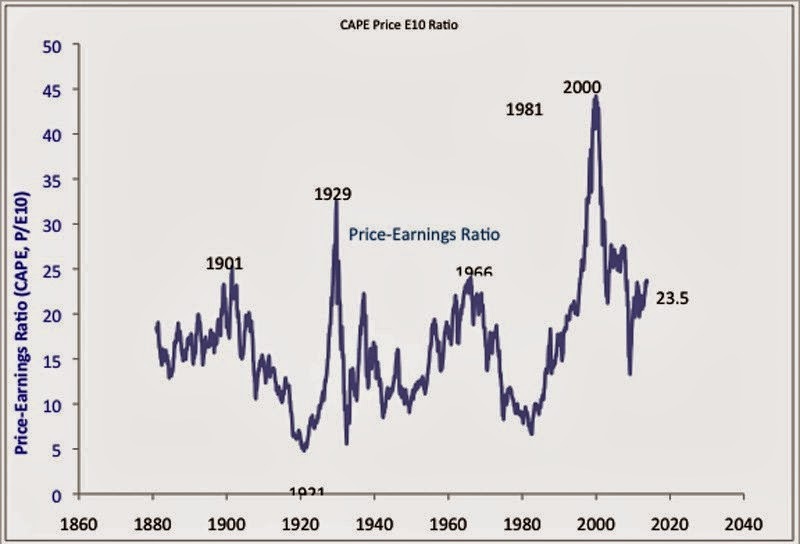 A close look at stock prices shows that the markets were recovering before 1933 and the New Deal was not able to get equities back to new highs. Clearly, many of the policies of the New Deal created a safety net for citizens, but they did not get us back to full employment or close the output gap. Social policies are not the same as growth policies. We needed to survive a world war to get back to new highs. My take-away from the chart is that the Fed should not pull the stimulus too early. I have also said that zero rates is not a good policy. Is this inconsistent? I don't think so. Liquidity has to be made available so money is available of lending but that does not mean that it has to be at zero rates. Zero rates distort the investment process. Monetizing debt distorts capital markets. Regulations that make it more profitable to lend does not have as much a distortion on lending and growth. The debt ceiling crisis is over, for now, but that does not mean that the standing of the US in global markets has been restored. A close look at dollar flows from BNY Mellon shows that dollar flows have continued its slide. We are near lows for the year. The dollar has declined approximately 5% since the beginning of July. The safe haven status of the dollar may be in jeopardy. We saw the spike in Treasury bill rates, albeit only tens of bps, but you have to ask why a central bank would hold dollar reserves in this environment. The only answer is that there are no alternatives. Find the alternative and demand for dollar will vaporize. Of course, the dollar is a reserve currency and many say that this could not happen. This is true, but that does not mean that foreign investors and central banks are not planning contingencies. USDA crop progress by state for the last week shows that the corn and soybean harvest is slower than last year which is consistent with the late planting this year. The question is how this will affect end production given cold weather is coming. This will add variability to the supply equation which will result in more market volatility. For corn, 39% of the crop has been harvested versus 53% average for the last five years. This is the slowest harvest since 2009. Corn shows 60% of the crop being rated good to excellent. For soybeans, the latest numbers show 11% harvested which is the worst for the data available since 2007. Last year at this time, 41% was harvested. Crop conditions for soybeans show 53% good to excellent which is better than last year but below the 5 year average. The three major precious metals, gold, silver, and platinum, have all followed behavior that that is consistent with expectations in a down market. Silver has seen the greatest under performance. Many view silver as the poor man's gold alternative. Hence, there will be stronger reaction when sentiment turns against the precious metals group (PMG). Silver has a 1.3 gold beta while platinum which has industrial usage come in with a .75 beta to gold. It looked as though there was going to be an increase in commodity volatility in 2013 with gains near the end of the first quarter, yet here we are in the fourth quarter with a continued decline in volatility in commodity markets. This has been an ongoing trend for five years. Each of the major commodity sectors have also seen the same trend in volatility. Energy markets have followed the same downtrend. We are at five year lows for energy volatility. Agricultural markets have been subject to greater spikes in volatility yet have also shown a down-trend for five years.We are off the lows seen earlier in the year, but 2013 will have the lowest yearly volatility relative to the last five years. Industrial metals have been subject to sharp spikes with the same long-term down trend in volatility.2013 will see the lowest levels in five years. There is the potential for spikes in volatility but the markets have matched the tapered volatility in global GDP. What is driving the poor performance in the commodity markets? A first pass is to break down the sector performance of the DJUBS commodity index. We have looked at the top three sectors: energy, agriculture, and industrial markets. Over the last five years, the energy markets have significantly underperformed ags and metals. This decline is related to the great natural gas decline and n oil market which has been rangebound. Every move up in oil prices has been met with greater supply. OPEC and other producers have done a good job of keeping prices with an tolerance that will allow for continued profits. 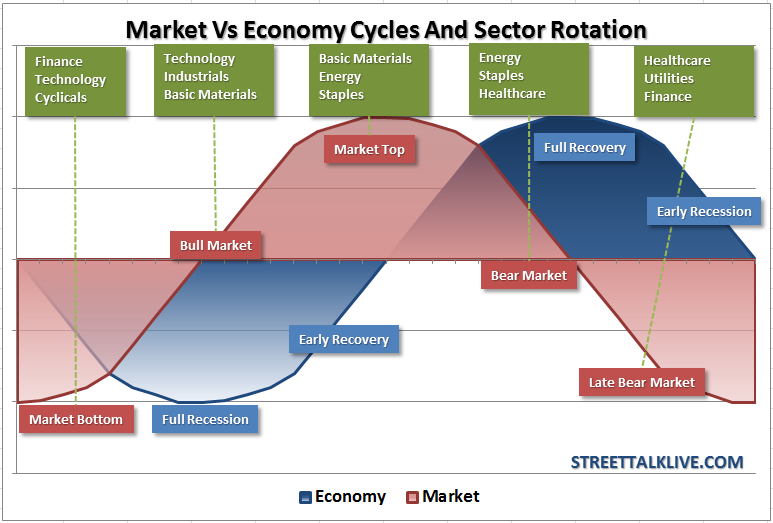 The last three years have seen stronger energy markets relative to other sectors. Ag markets have been buffeted with strong strong supply shocks. Grain markets have seen drought last year and then strong production this year. Industrial metals have fallen with the slowdown in China growth. There has been a significant divergence between commodity and equity markets. We have looked at the Ten year period for the MSCI world index, the S&P 500, and the DJUBS commodity index. The pre-crisis period showed that the markets moved in tandem with commodities moving ahead of the equity indices late in the cycle. The markets moved together during the decline and moved together through the initial recovery. 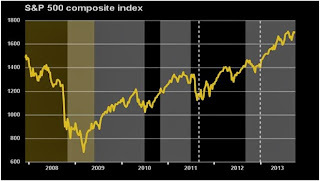 The fourth quarter of 2011 showed the beginning of the divergence with 2012 and 2013 showing a continued move in opposite directions. The high correlation of the earlier periods have fallen part and commodities decided to march to its own drummer. 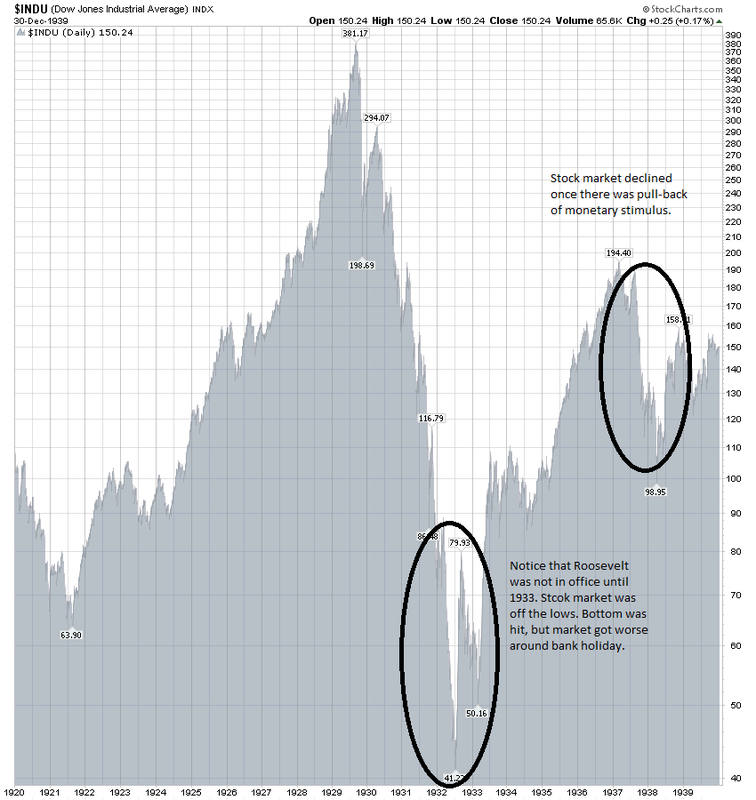 The difference with the S&P 500 becomes very apparent on a relative basis. These markets are not correlated and have different driving factors. The real story has been the strong movement in emerging markets over the last ten years. The increase in prices is orders of magnitude higher. On a relative basis commodity prices look tame over the this period. we will not that the strong increase in EM equities is related to the strong demand for raw materials. The divergence between emerging markets and commodities relative to the S&P 500 was significant. Commodities matched the US stock market until the end of 2011. The more recent performance shows that emerging markets and commodities are now more tightly bound together. This binding between emerging markets is not seen in world equity markets which have fallen relative to the S&P 500 but have still outperformed commodity markets. The end of the financial crisis has caused commodity markets to move more closely with supply and demand for the individual markets within the commodity index. With slower global growth commodity markets are more subject to supply shocks which have been the hallmark for the current commodity environment. 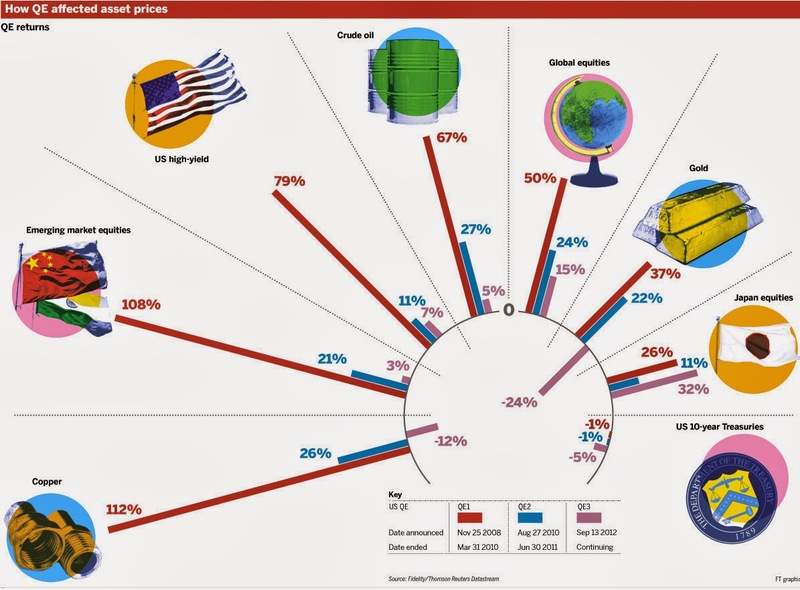 The FT had a very good graphic on the impact of QE on asset prices. Beautiful graphics should tell us something profound. What I see here is a QE policy that is having less impact on all asset prices. the markets are just not moved by the same way as the earlier QE programs. The only exception to the trend of lower reactions is with Japanese equities. This is a special case because most of the move is related to easing by the BOJ. This is not what the Fed was expecting when they started QE3. The talk of tapering has not addressed the simple fact that the current purchase program is not moving asset prices. QE has not had the impact expected on commodity markets. Highlighting the three periods of quantitative easing suggests that more money has not increased commodity demand and ultimately prices. This is not what the central bank doctors have ordered. In fact, their efforts to increase global demand has not worked with the most recent easing. QE1 provided the support necessary to stop the decline in commodities and the Great Recession. Prices bounced off the lows. With QE2, there was a another surge in commodity prices albeit the reaction was not as great and prices started to fall near the end of the easing period. By QE3 the addicted global economy needed a bigger fix to get prices moving and so fall there has not been any help. If the Fed wants higher commodity prices, it is going to have to do more purchases not less, or the Fed could conclude that the purchase program is just not working and move to some other strategy. The apologists could say that things would be worse with less or no purchases, but it seems as though the markets needs something more than the current stable buying program to get demand to increase. Commodities have matched the movement in growth in the global economy. With global PMI hovering around 50 for the last two years, there has been no tailwinds to push demand higher. The result is that commodities have been driven by supply shocks which have pushed prices lower. Commodities showed robust gains when the PMI was showing strong momentum, but the flat growth prospects means there is nothing to shift demand higher. Is there something wrong with monetary policy? Reuters has provided a great set of graphs which show the changes in monetary policy and the reaction in growth, inflation, yields, and the stock market. Its is notable that markets have not behaved as expected during QE3 relative to QE1 or QE2. Notice that inflation has actually been falling during QE3 not rising like what was seen in QE1 or QE2. If the objective of monetary policy was to increase inflation so that consumers will spend more. It is not happening. Prices are not rising. Real GDP is showing mixed performance. There may have been a reason to have QE3 because real growth was declining, but we have not seen any sharp reaction since the beginning of the program. Stocks have continued their ascent even with modest growth. It is notable that when QE ends, there is a sell-off in stocks. The dded liquidity is pushing asset prices higher bot not the prices of goods or the demand for goods and services. Yields have usually jumped higher during QE and decline once the central bank purchases are completed. The reaction was slower this time because of operation Twist, but yields are starting to move to levels seen at the low-end of QE1 and QE2. Is this what the Fed wants? Is this what they expected? I don't think so. Is it time to think of other policy options. My answer is yes. There needs to be structural reform to make it easier to lend to consumers and businesses. What does it mean to be a the risk-free rate in a post debt ceiling world? It is hard to describe any US Treasury fixed income instrument as the risk-free rate in the current world given the current environment. The debt ceiling was lifted with what some would view as a slight loophole that between now and February 2014 there is no debt ceiling at all. The result is that the US Treasury increased their debt by over $300 billion in a week. There is no fiscal conservation or control over the debt process now that the ceiling is gone. The US will borrow more with no constraints. The creditors are left to take care of themselves. There is the exploitation of creditor by the hungry debtor class. Of course, this is the same problem faced after the last debt crisis in 2011, but it is becoming more apparent that there will be no solution to the growing US debt overhang. Nothing was done post the 2011 crisis and nothing will be done now. Hence, there is less meaning to Treasuries being the risk-free rate. 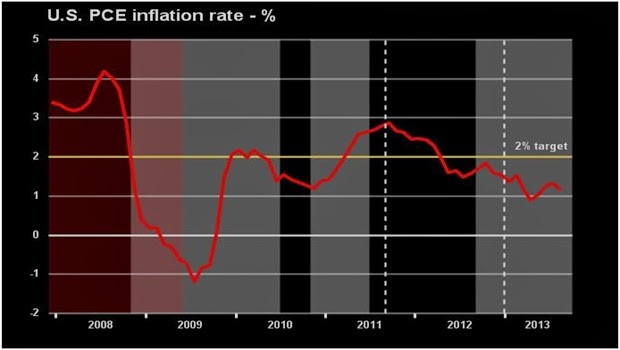 Additionally, there is still the acceptance by the Fed of 2% inflation being the normal, so real rates are still negative. No Fed official cares that creditors will not make a positive return on their money. Their principal is not safe. 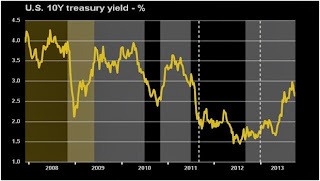 Treasuries are not a safe asset. Gold has not been a safer haven even though there have been a number of risks which would suggest that global investor should hold gold.We have had geopolitical risks, higher inflation in emerging markets, a debt ceiling crisis and the threat of more monetary easing. The response has been falling gold prices, a decline of more than $350/oz or 21% since the beginning of the year. The reaction of investors has been to pull money out of the market. The amount of gold leaving ETF's has been in the millions of ounces. Low interest rates have not stops this flow. Inflation albeit low has also not stopped this flow. Gold has fallen out of favor with investors. Business Insider provided an interesting article on new Noble Prize winner Robert Shiller's contribution to finance. It shows all what you need to know in just two graphs. 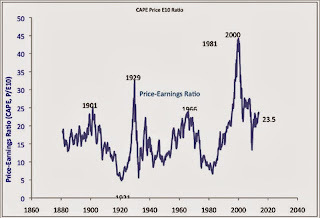 The first is a graph on cyclically adjusted price earnings ratios. 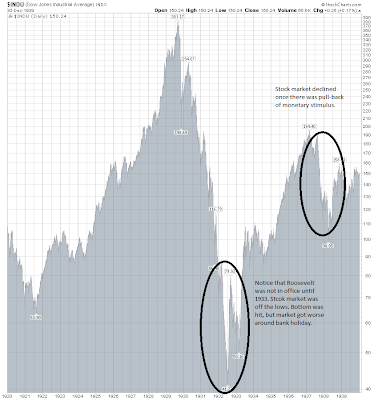 It clearly shows that there was a market extreme or bubble in 2000. This is the signal that there likely was irrational exuberance in the stock market. 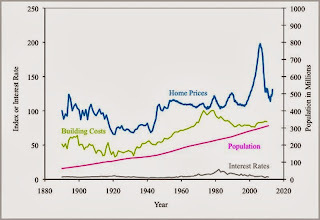 The second graph is the index of housing prices against building costs, population growth, and interest rates. It clearly shows that prices moved way beyond what should be expected as normal. Again, evidence that there may have been a bubble. Robert Shiller has made more contributions than these two charts, but this may be the simplest way to show what he has been working on over his career. Itamar Drechsler, in his paper "Uncertainty, time varying fear, and asset prices" in the Journal of Finance addresses some of the key issues on risk and return that I have been grappling with recently. Dreschsler creates and tests a model that looks at uncertainty to explain features in equity index options, the large premium in price often referred to as the variance premium, and the shape of the volatility surface or skew in out of the money options especially puts. The model hypothesizes that when there is a large increase in model uncertainty there will be a higher premium in option prices. Model errors or errors in our forecast of the economy will have an important impact on asset prices. If there are jumps in price that are not fully incorporated in models, investors will need to increase the price they are willing to pay for options. One way to measure uncertainty is to proxy model error or uncertainty through the dispersion of forecasts for GDP. If there is greater dispersion, then there will be more likely errors in the underlying understanding of the economy and cash flow growth. The result of more uncertainty will be a change in the risk premium for purchasing index options. Through looking at different measure of economic uncertainty, the author was able to tie the variance premium and skew to specific macro variables. These results would seem to most traders as obvious, but it provides good explanation for what academics have called anomalies. When uncertainty goes up, we will seem the risk premium increase in index prices. The Nobel prize in economics was announced with three winners, Eugene Fama, Lars Hansen, and Robert Schiller. There is a sense of humor that they would pick Eugene Fama, the father of modern finance and keeper of the efficient market hypothesis flame, and Robert Schiller who has spent his career trying to show that markets are not efficient and there is the potential for speculative bubbles. Lars Hansen is the serious statistical master which was a criticism by some of Fama. All are important innay discussion of economics and finance over the last few decades. There are clear reasons to honor them, but I do find the irony in the choices. It has been reported that the EPA may change the requirements for production of ethanol through scaling back its use. The EPA would call for a decline in the use of ethanol gallons in 2014 from 13.8 to 13 billion gallons. This will have a clear impact on RIN's, the Renewable Identification numbers that can be bought and sold to meet the requirement. This is only a proposal but it clearly shows how the government can control an industry. he government almost single-handily started the ethanol industry with its mandates only to now potentially destroy the same industry through changing the rules of the game. I will clearly state that ethanol was bad policy from day one. It took corn production that could have been used for cheaper food and converted it to industrial production which now consumes 1/3 of the entire crop. It is also likely that the energy used to created ethanol exceeds the energy produced.That is a laugh. It helped farmers by creating demand, but that has also cost the consumer. So now we want to take all of the capital used to create the production facilities and have it wasted by changing the ethanol requirements. This is another reason to avoid investments which may be associated with government subsidy. The uncertainty is too great. The world is watching and waiting whether the US Treasury will default. Why are we in this state? Simple, in the long-run, the US government through the President and Congress saw fit to have a check on government indebtedness, the debt ceiling. 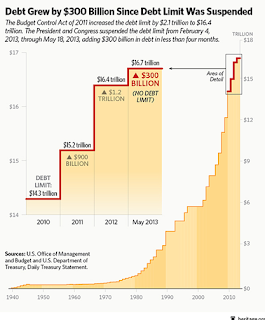 The debt ceiling is the maximum allowable debt that can be outstanding by the Treasury. 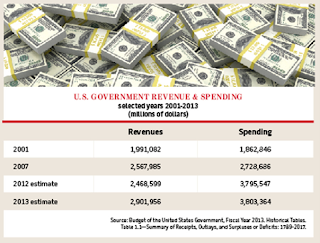 It places a constraint on the government from over-spending beyond the amount of taxes raised. It is a constraint to stop the government from the excess of trying to provide all things to the populous. Perhaps it would make more sense to make this a percentage of GDP, or some other relative measure but that is not what is being discussed. Now that it is binding, the president would like to take away the constraint. Other would like to maintain the constraint. It does not matter what commitments were made, the debt ceiling is there to stop excessive debt. It is a law that is contradictory but placed on the books for a reason. It is a check on behavior no different than any check we place on our own personal behavior. It serves as a budget constraint. There has been little talk of complete elimination of the debt ceiling just a rise so it will not be binding on any current administration. This is not different than personal behavior that would like the appearance of constraints just not binding ones. Perhaps the debt ceiling actually gives some investors more faith in the US government. The faith is destroyed if we always increase the ceiling when it becomes binding. Is it crazy that we have to play brinkmanship to have a discussion of finances? Absolutely, yet I think it really does a good job of focusing discussion on debt and budget issues. So how much is too much debt? The president and Congress will not say. What should be funded as a necessity versus passed on as a luxury? No one will say. Everything is necessary in the US government world. There are no choices of scarce resources. There are no constraints. There is no use of the word"No". I have never seen a worse piece of financial journalism than the Bloomberg Magazine story, How Investors Lose 89 percent of Gains From Future Funds. Starting with the title, the story went downhill as the writers just ripped into the managed futures industry with their perception of fee gauging. Through selective analysis, they tried to show there is a major problem in this alternative investment area. It could have worked except there was a slight problem. The facts. Clearly, the fees on the funds mentioned are high. The authors took the highest fees in the industry and extrapolated. This is not a problem with managed futures but with the wirehouses that structured these expensive deals. There is a difference between the managers and the packaging but the authors fail to make this distinction. It is not in the best interest of clients to buy this expensive product, but that is not the fault of the manager or the industry but the brokerage firm that offered the product. though it was mentioned, the fund highlighted has been closed to new investors since the end of 2008. Warning to clients, do watch the vehicle used to buy investments, but that is not the same as avoiding the investment. The authors also do not seem to understand that investments go through cycles, so that looking at expenses when there is poorer performance will of course make the costs look to be higher. If the same analysis was done at the end of 2008, managed futures would look like a champion. Also the author looked at total expense over ten years versus profits which again is not an effect means of analysis. Time weighting is very relevant. The authors did not seem to account for the current set of regulations. In fact, the CFTC commissioner cited in the story does not seem to know his own regulatory framework. Futures investments through CTA's or CPO's have to report drawdowns and provide break-even table for investments. They also have to report all expenses including brokerage. Try and get this information from a stock or bond fund. So what was the purpose of this story. Did it solve a problem? Did it show a need for change? we are just left with the feeling that one area for regulation is journalism. Will Yellen make a difference? Janet Yellen has been nominated by the president to be Chairman of the Fed. 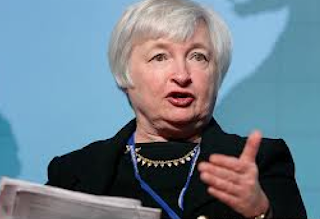 There is a strong desire for continuity in Fed policy, so she is the best pick to make that happen. There is currently unlikely to be any change in policy with forward guidance telling us there will be no changes in short rates until almost 2016. There could be some tapering in QE but that will not change the current direction. Vice Chairman Yellen is clearly focused on domestic growth issues and it is unlikely she is going to change policy with unemployment high and labor participation so low. She is not going to be fooled by a false unemployment reading when there are still significant labor slack. The lack of any meaningful fiscal policy to help unemployment means that the Fed will have to be the macro workhorse and it is unlikely that Yellen will back away from that task. The bond vigilantes are back and they are not happy. The TED spread has turned negative with banks better credits than the US government. It was the bond market that imposed discipline on Bill Clinton during the budget crisis of 1994 and they seem to be doing the same thing here. There is no master plan for s0luition by the bond market other than to remind the government that there are consequences to actions. Look at the numbers. Four week Treasury bills are at 21 bps while 3-month T-bills are at 5 bps, 30-day CP is at 16 bps, and 1-month LIBOR is at 17 bps. However remote, there is a fear of default on short-term bills. The market is saying that we think this could lead to non-payment in the short-run and we have to plan for that risk. There is no judgement on who is right or wrong other than to say we have to plan for the worst and we do not want to be a creditor to the US government. A new article in the Journal of Finance, "Trading Complex Assets" provides some very good analysis on potential market behavior. The three authors, Bruce Carlin, Shimon Kogan, and Rich Lowery, take an innovative experimental approach to test some of their hypotheses on trading. They are able to conclude from their laboratory experiments that higher complexity in assets leads to higher price volatility, lower liquidity, and decreased trade efficiency. This is not due to noise from estimation error but from changes in behavior of the traders who adjust their bidding strategies when faced with complexity. Simply put, traders are less willing to trade more complex assets because they are afraid that their trade counter party may know more or have an information advantage in any transaction. Wait, I thought derivatives are supposed the help the market? I thought there was supposed to be demand for these complex financial products because specialized bets can be made in the market? It seems we have to go back to the old poker advice, "If you do not know who is the patsy, then you are it". When the trading instrument gets too complex, you get concerned about who will trade with you. Their conclusion is based on adverse selection in the trading of any complex asset. The more complex the instrument, the more likely you may be at a disadvantage relative to the person who will take the other side of the trade. Perhaps the other party knows more? Perhaps he is too eager to trade? Maybe he is only willing to do this because he has a better idea of true valuation. In a case like that, where you may be less sure of your own idea of value, it may be prudent to walk away. Add some more uncertainty or add more complexity and there should be less willingness to trade. Anything that is hard to value should be subject to this adverse selection. A corporation which is hard to understand should have adverse selection. A security that has little public information should be subject to the problem. Even a currency could be a complex asset if we cannot determine or estimate the drivers of valuation. 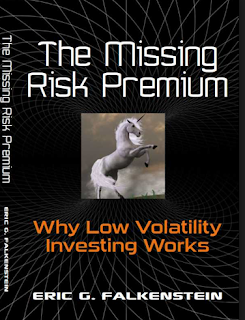 Under times of stress and uncertainty, we should see more adverse selection, less trading and thus less liquidity. There are some powerful ideas in their work and even if you do not fully grasp the experimental tests, it is worth a read. Stocks in the US have moved significantly higher, but we have not seen much movement in commodity markets. The reason can be found in looking at emerging market growth. The world has changed and to see the driver of commodity growth you have to look more at developments in emerging markets. 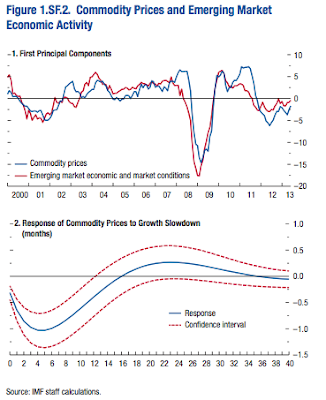 A slowdown in growth in the EM sector suggests that commodities will have a tailwind and not a headwind. This is the conclusion of the IMF in their recent World Economic Outlook (WEO). We show some of their research. Using principal component analysis, they find there is a .8 correlation between the primary factor in commodity prices and EM growth. These tow series are closely related so any negative shock will depress prices even if the G4 is improving. While there is a clear focus on China growth, this places a better framework on thinking about commodity price movements. The EM growth factor is the key macro pressure point. Hat tip to a good friend on the cycle graph. 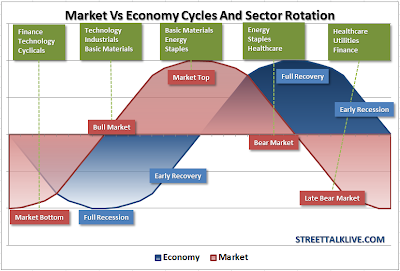 The business cycle provides headwinds and tailwinds to different market sectors; consequently, there needs to be a rotation mentality in order to provide the best conditional returns. The difference between good and great investing is just knowing where you are in the cycle and tilting exposure to take advantage of relative value. You don't have to tell me where you are going under you tellme where you are. It may not always be about picking the best stock but the best relative sector. 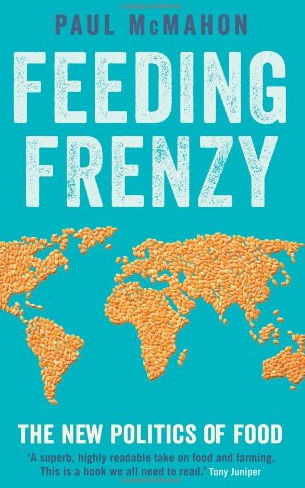 Paul McMahon has done an excellent job of providing a thoughtful work on the current state of global agricultural markets. He has reviewed all of the key drivers of future food prices, land, water, bio-diversity, productivity, technology, management, capital usage, and policy and provides a clear road map for what will be the critical issues in agriculture over the next decade. He provides lots of key information but does not overwhelm the reader with facts. He tells a story of a global system that needs repair. It is not that anyone tries to make an inefficient system, but the non-cooperative behavior of many key players ensure that there are still malnourished and starving people. 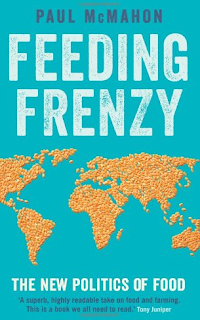 McMahon shows how governments making food a strategic assets actually makes for a more fragile system. Subsidies in the developed world for farming leads to over production which has to be exported. This makes developed countries dependent on imported food. When there is a food crisis, export restrictions cause a disruption of the trade in grains. Cheap capital has driven the farm industry to large farms in the developed world where as in the undeveloped world cheap labor is not being used efficiently. Trying to provide a one size fits all view to farming may be devastating to Africa where the focus has to be on farm management efficiencies and not capital usage. We are clearly dependent on a few crops and a free trade system which may have a hard time getting food from where it is grown to where it is eaten. McMahon provides an even-handed view to many of these issues and does not immediately move to blaming corporations or governments. This is a quick read but will change your views on agricultural markets. Eric Falkenstein is on a mission. It is simple. He wants to take down the the foundation of finance that return and risk as measured by beta are positively related. He presents significant information through his own work and the work that has developed over years to show that the CAPM model is empirically bankrupt. A theory that does not have strong statistical support. Of course, many will say that we have known that for years, but we have still used used that as our theoretical foundation. Eric wants to shake that foundation to the core. This work is important because it takes all of the previous analysis that places the CAPM in dispute and puts in one place. I have ready many of these works, but the critique of CAPM is very powerful when the all of the empirical evident is looked at together. There is a problem in that we may not have a good paradigm as a replacement, but that is the way of science. We theorize, we test, we reject and then repeat. Read this book if you want to understand the critical direction of finance. Thanks, Eric. 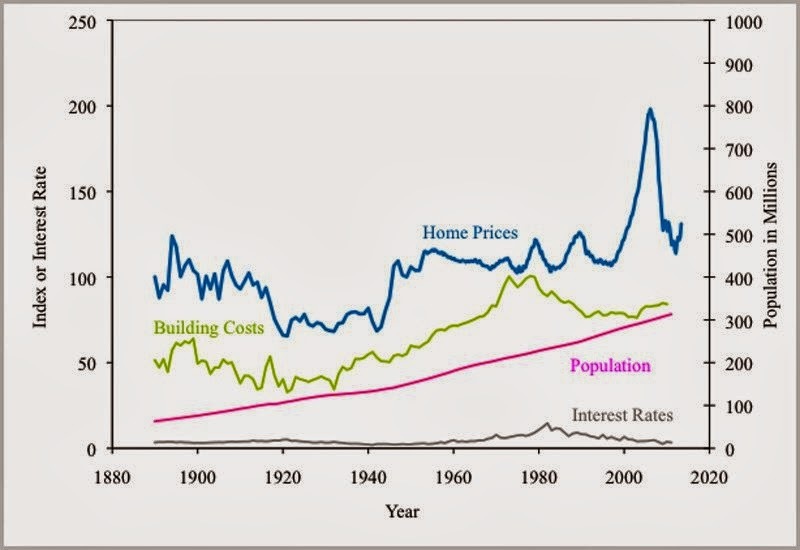 Broadly speaking, for at least 115 years (and possibly longer) – that is, at least since the publication of the Swedish economist Knut Wicksell’s Geldzins und Güterpreis (Interest and Prices) in 1898 – economists have split into two camps with respect to what a central bank is and the purposes it should serve. One camp, call it the Banking Camp, regards a central bank as a bank for bankers. Its clients are the banks; it is a place where banks can go to borrow money when they really need to; and its functions are to support the banking sector so that banks can make their proper profits as they go about their proper business. Above all, the central bank must ensure that the money supply is large enough that mere illiquidity, rather than insolvency, does not force banks into bankruptcy and liquidation. The other camp, call it the Macroeconomic Camp, views central banks as stewards of the economy as a whole. 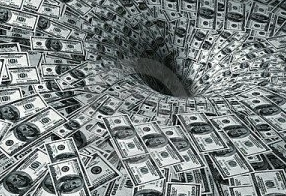 A central bank’s job is to uphold in practice Say’s Law – the principle that output is balanced by demand, with neither too little demand to purchase what is produced (which would cause unemployment) nor too much (which would cause inflation) – because Say’s Law certainly does not hold in theory. In other words, a central bank’s primary responsibility is not to preserve the health of the firms that make up the banking sector, but rather to maintain the robust functioning of the economy as a whole. Brad deLong has done a nice job of describing the two view concerning the purpose of central banks. One simple problem is that at any time the central banker does not agree on what it should be. There are actions when they act like a banker's bank and other time they behave like the Macroeconomic Camp. There is not really a dual mandate, but a fight between these two roles. Under normal times, the Banking Camp represents the central bank. During recessions, the other camp takes over. All Fed actions can be placed in either camp. the confusion comes when the market expects the Fed to act like a banker's bank and it does not. We are thus left with a paradox: While crises increase demand for central-bank cooperation to deliver the global public good of financial stability, they also dramatically increase the costs of cooperation, especially the fiscal costs associated with stability-enhancing interventions. As a result, in the wake of a crisis, the world often becomes disenchanted with the role of central banks – and central-bank cooperation is, yet again, associated with disaster. The Fed was supposed to tighten through ending QE, the Great Tapering. However, the reaction in emerging markets was negative. EM are hooked on easy funding, yet if there is continued easier, there is the counter-argument that the Fed is following this policy to cause a dollar decline. Clearly, there is a need for cooperation and trust by central banks so the US can follow both a domestic policy and be a good international monetary partner. we are not seeing cooperation to achieve a joint goal. This is an interesting set of word on disoprder from Nassim Taleb's Anti-fragile. Think of how disorder clouds our thinking. I want predictors to have visible scars on their body from precision errors, not distribute these errors to society. Suckers try to win arguments, non-suckers try to win. Do not cross a river if it is on average four feet deep. Always look for convex payoff. Remember the turkey problem. Life is good until Thanksgiving. What is important is relevant knowledge. 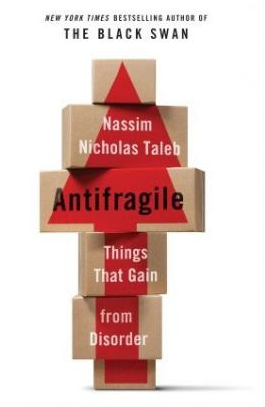 Nassim Taleb's Anti-fragile -Things that gain from disorder is a very significant work on thinking about how to gain or protect yourself from uncertainty. However, just thinking about this book in practical terms does not do it justice. Nassim Taleb is one of the most original thinkers in finance. He is certainly more relevant than all of the academics I have met. He pushes the envelope on thought through using multiple disciplines. He has command of philosophy, finance, math, and history and employs all to help develop his concept of anti-fragile. Of course, as with his other books in this area, Nassim does not want to just influence finance. He starts with a discussion of the simple set of three words which represent a range within a concept, fragile robust anti-fragile. A system can be fragile or sensitive to breaking or stress. It can be robust or insensitive to stress. But if we look along this continuum, we seldom discuss anti-fragile, a system that actually will get stronger when placed under stress. We can actually see anti-fragile behavior all around us and there are activities we can engage which will create an anti-fragile environment. This is what Nassim would like to more often see. The issue for most is what has been called the Lucretius problem - the fool believes the tallest mountain in the world will be equal to the tallest one he has observed. This is the classic error for most risk management which focuses on measurement from past data. If the event has not occurred in the past, then it does not exist. This is the foundation for a fragile system. It cannot or is not prepared for uncertain events that have not been experienced. hence, it is breakable under change or stress. The solution to stress could be called non-predictive decision-making. This is the solution to black swan problems. Buy gamma exposure cheap. Think about a barbell positions in portfolios that will not allow failure but thee opportunity for success. Everyone should be looking for convex pay-off or options. In this case, option = asymmetry + rationality. If sensitivity is the possibility of a large response to a small stimuli and robustness is the possibility of small response to large stimuli, an anti-fragile approach tries to limit downside sensitivity and promote upside sensitivity. He uses the concepts of Seneca and stoicism, the idea of anti-fragile positioning, the concept of a barbell to risk, is that you will be immune to shock events.It will not effect you. This is not an easy read. It is dense with concepts and ideas but you will be rewarded by Taleb's thoughtful observations.